Want to surprise your girlfriend with a creative gift? Why not create a love timeline to record your unforgettable moments in your relationship, and let her know you really care about her. While being in a relationship, some romantic tricks can help keep the relationship on track. Find an unexpected and exciting way to express your love is very important. 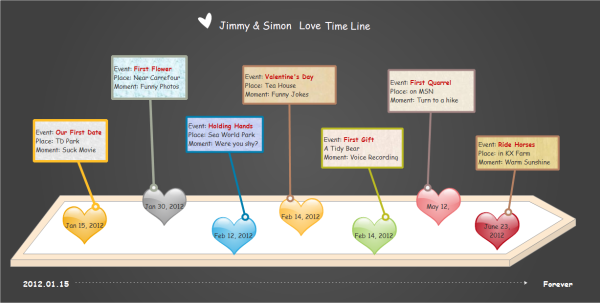 When you rack your brains for the best idea, why not try this simple but effective method - creating a love timeline. What does a love timeline do? 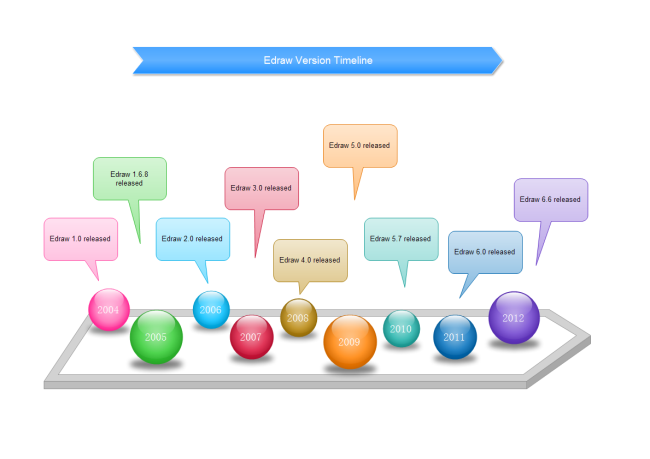 A love timeline is used to record all important events occurred during your relationship. You can write down the date, place, process, and some significant moments and details. 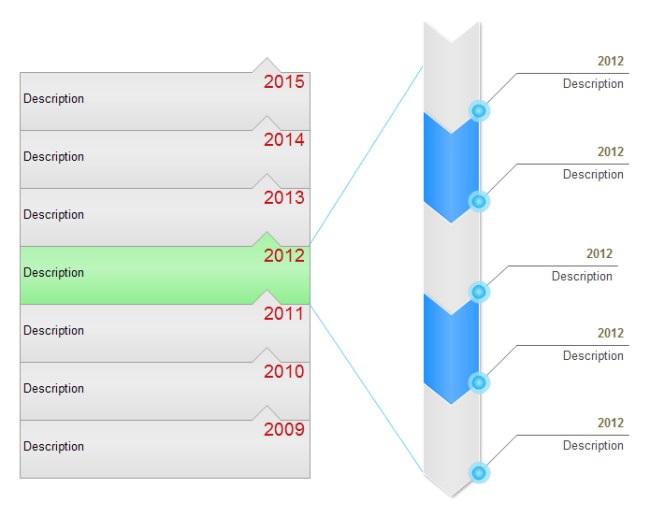 Line up the events in chronological order, and you will have a clear view of how this relationship grows. It can be one of the gifts for his/her birthday or for the Valentine's Day. Very cool, isn't it? Save this timeline in your computer and add more events as time goes by - until you are old. 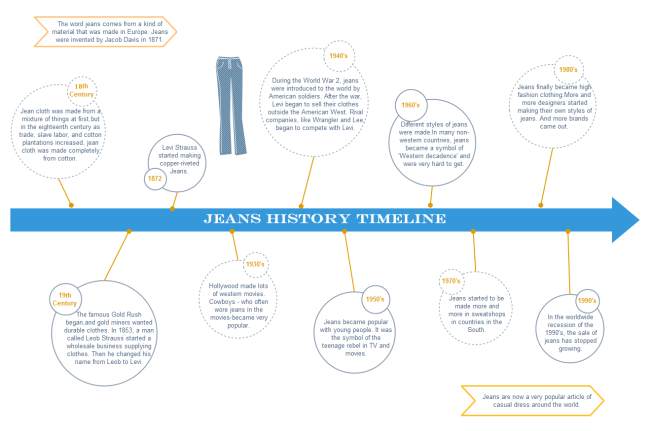 Below are more timeline templates you can download and use.